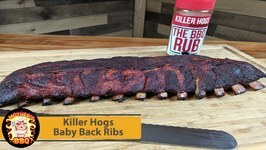 Baby Back Ribs with Killer Hogs The BBQ Rub On this video we check out Killer Hogs The BBQ rub and smoke up some baby back ribs on the Weber Kettle. Enjoy! 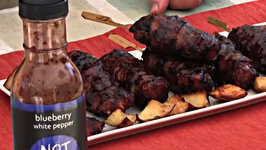 On this video we go back to basic and smoke some baby back ribs on the RecTec Grill with a Mountain Dew Code Red BBQ sauce recipe. 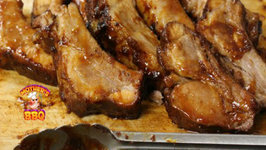 A very simple dish using Kikoman Teriyaki sauce and some baby back ribs. Just like how my Mom made them. 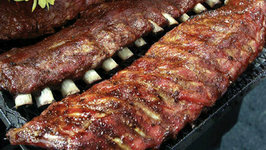 It's cold, It's raining and you want ribs. 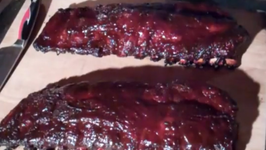 On this video I will show you how I cooked my very first slab of baby back ribs. 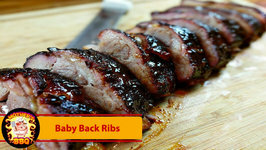 Can Baby Back Ribs be grilled in one hour? Yes and I will show you how easy it is to do! 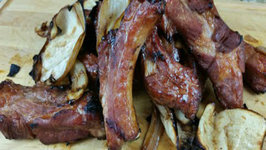 Keeping all of the flavor and using far less time than a traditional 6 hour BBQ .. Sometimes food needs to be on a stick. Tailgate food is a perfect example of this, something to hold onto and eat while walking around talking to friends. 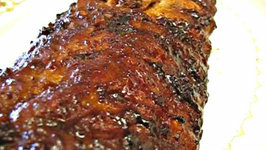 This weekend I fire up the Grill Dome to smoke up some baby back ribs and try out Coakley's BBQ Sauce. 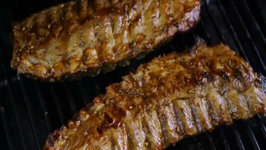 I must say that the sauce was outstanding on the ribs. 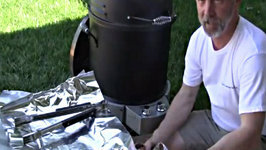 Gary House, The "Outdoor Cook" cooks Pork Back Ribs in the Char-Broil "Big Easy SRG". 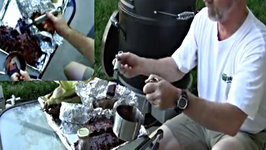 Perfect Outdoor Cooking Sides of Foil Wraped Baked Potatoes and Corn on the Cob .. 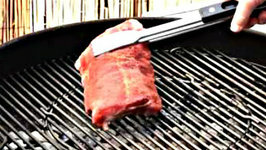 In this video, Betty demonstrates how to make Barbecued Baby Back Ribs. This is the entrée for our 4th of July meal. You will see the complete meal at the end of this video. 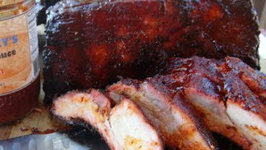 Betty's Barbecued Baby Back Ribs - Full 4th of July Dinner Shown! 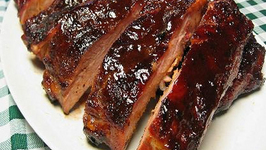 Some of the best, most tender ribs come from an oven-grill combination. 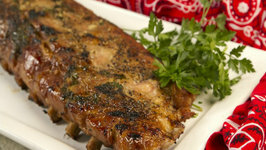 Food Channel's Chef Cari has a super-savory recipe that's low and slow, and fall-off-the-bone delish! 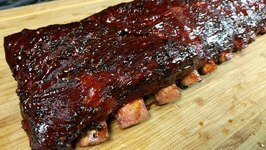 So this is my second attempt on my newly built UDS cooking some baby back ribs. If you've watched my first attempt you will see that I was having issues with too much ..